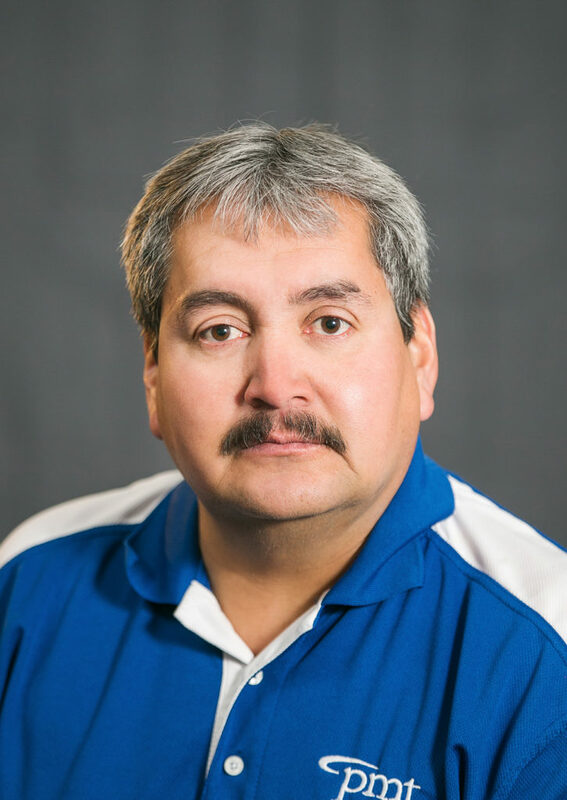 Gabriel Montoya was announced as Employee of the Year for 2019 at PMT’s Annual Awards Banquet. Gabriel has been at PMT for the past six years. Gabriel spent the bulk of his time in the Maintenance Department and has recently moved over to the Inventory Department. As the Purchasing/Inventory Clerk, Gabriel in responsible for purchasing and tracking the many materials that PMT employees need for day-to-day operations and projects. Gabriel plays an instrumental role in keeping PMT’s multi-million dollar fiber projects on schedule. Complimenting Gabe’s great worth ethic is his easy-going personality and his commitment to PMT and its employees. Gabriel and his wife, Arlene live in Rupert. When not a work, Gabriel enjoys spending time with his family, working with his cows, following football, and hunting. Congratulations Gabriel! Thanks for your dedication and keep up the great work! Other highlights from the Awards Party include Leonard Nelmida receiving the Presidents Award. Employees were also recognized for milestone service anniversaries. Terri Weeks received her 20 year service award and Gabriel Montoya received his five year service award.